Korean-inspired chicken wings baked in the oven with a gochujang sauce. Ever since I learned about the baking powder trick for crispy chicken wings from Serious Eats, I’ve been making them all the time. Sometimes I’ll even just make chicken wings with salt and pepper and nothing else. Simple but delicious. I’ve been having a bit of a creative block when it comes to new recipes these days, but this recipe came right to me when I opened my fridge and remembered I had a tub of gochujang. What is gochujang? It’s a Korean hot pepper paste that is spicy, sweet and salty. That’s where the Korean-inspired comes from in the recipe title. The first step is simple, coat the chicken in baking powder and a little bit of salt, and let them sit for about 20 minutes. This helps make them turn out extra crispy. Then while they bake in the oven, you can make a simple sticky, sweet and spicy sauce. The sauce is a mixture of ketchup, gochuchang, garlic, rice vinegar, soy sauce, sesame oil, fish sauce and a little sriracha if you’d like some extra spice. 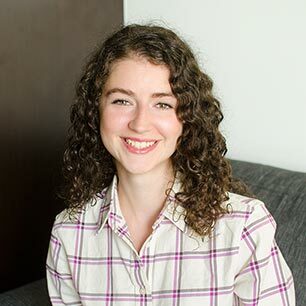 I find the gochujang I have is more on the mild side of the spice spectrum, but I recommend tasting your gochujang before you start cooking–that way you can tell if it’s spicier or sweeter. Like miso paste, there are different varieties of gochujang. The sauce gets cooked for a few minutes on the stove top to meld all the flavours and cook the garlic, before it gets tossed with the hot wings (once they are done cooking). These Korean-inspired chicken wings are best served right away as they start to lose their crispness the longer they sit in the sauce. Arrange racks in top and bottom thirds of oven and preheat to 400F. Line two large rimmed baking sheets with foil. Set a wire rack on each prepared sheet. Toss wings in baking powder and arrange in a single layer on prepared racks. Bake for 20 minutes, switch and rotate sheets and bake another 20 minutes. Meanwhile, prepare sauce. Heat a small saucepan over med-high heat, boil for 3 minutes, stirring frequently until thickened. Remove wings from oven and let stand until cool enough to touch, about 5 min. 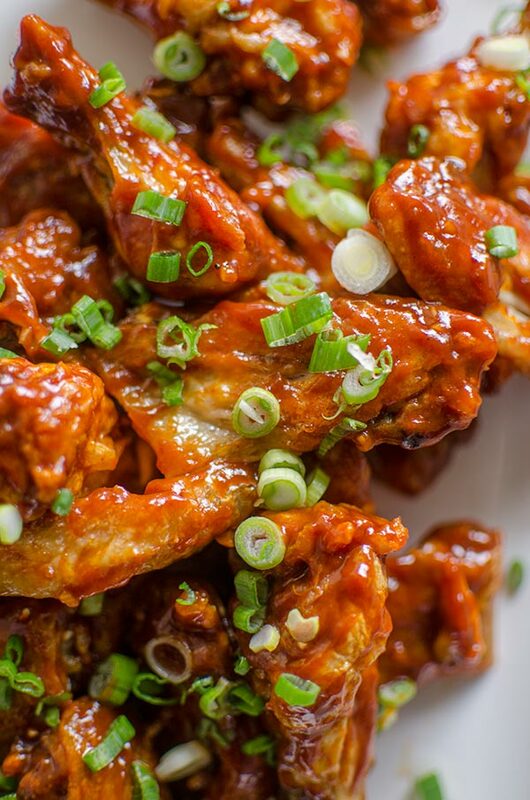 Toss wings with sauce until coated top with green onions and serve immediately. 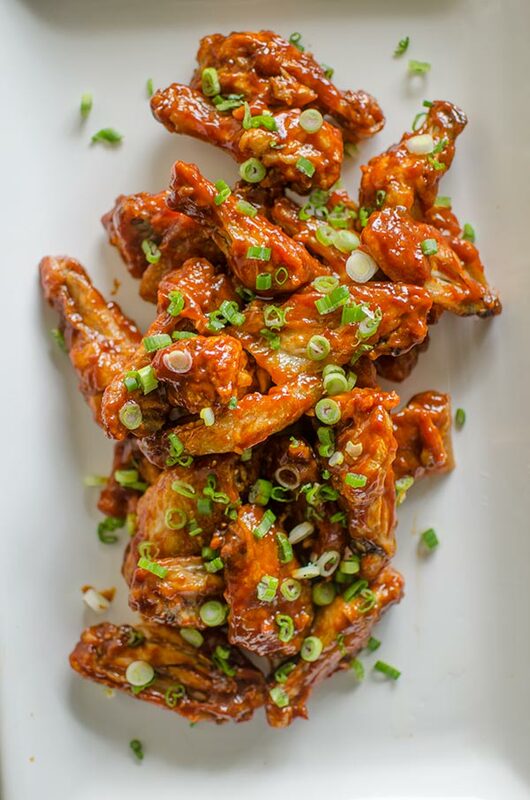 Let me know if you give these Korean-inspired chicken wings a try in the comments below.